CLOSEOUT: We are discontinuing Regaliz enjoy savings while the stock lasts. 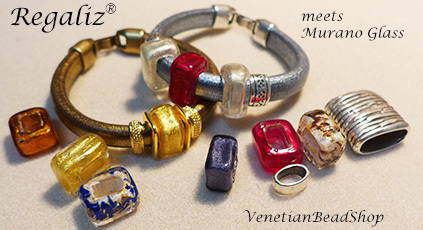 Join the Regaliz® trend with our own exclusive Murano Glass Beads. We have the leather, the findings you need. It's easy to make a bracelet and watch for more new designs.